‘This authoritative handbook for health care professionals, scientists, coaches, athletes, and sports enthusiasts provides succinct, evidence-based reviews for over 140 supplemental products and special topics, highlighting how they can enhance (in conjunction with an already healthful diet) athletes' health, performance, and recovery … Recommended. All academic levels; professionals/practitioners.’ - A. C. Kuiken, CHOICE magazine. 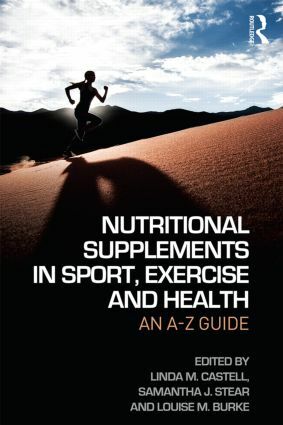 'A very helpful compendium for every sports medicine practitioner and for scientists, when considering which nutritional supplements to be effective or ineffective for patients and athletes - strong recommendation to buy.' - Prof J. M. Steinacker, German Journal of Sports Medicine.